I have so many things to tell you, so many things to ask you and to show you… Normally I tell you might thoughts in my mind. I spend hours and hours quiet to the outside world, when actually, I am just talking to you. I found this lovely lady on the web, who happens to offer a beautiful healing class for bereaved mothers. It’s called the Illuminate class. It’s an awesome name isn’t it? Well, I think she’s as awesome as the name of her class. So I thought, instead of lingering in thoughts talking to you about my feelings today, I’d follow Beryl’s advice and share my thoughts “out loud” in writing. I would give my life sweet baby, if that would bring you back. If you could be alive, healthy, if you could grow up and play, if you could go to school and play with your friends. I would truly give anything to offer you the life I had envisioned for you. Unfortunately, I just don’t know of any way to change the past, nor do I know at which point in life I should have taken a different turn. I wish I did. I wish I could. Because I would, in a second. There is nothing I want more in life. That is why I want to say I’m sorry. I am so very sorry if there was something I did wrong. I am so sorry… Even words can’t express it. From the moment I found out you were in my belly, I did everything in my power to nurture you. I read at least 5 pregnancy books to make sure I was doing everything right for you. I asked my OB questions over and over again. I cared for you more than life sweet Sahar, I loved you from the very beginning. I loved the lower back aches that made me suspect I might be pregnant. I loved the positive pregnancy test, it filled my heart with bliss. I loved the exhaustion I felt after a day of work. I loved my ever growing belly. I loved to feel your sweet kicks and movements. All because I loved you so very much, all because I wanted you to join us. My little girl. I treasure every single minute we had together. Know that you filled my life and heart with a love that I never thought I’d experience. Know that I still feel that love every single second of my life. Apart from all the sadness, the grief, there’s the LOVE. And it is so great my sweet Sahar, which is why the sadness is so great… I want you to know, to remember always, that you were the best thing that ever happened to me in life. You are my firstborn, my little girl Sahar, my sweet baby. 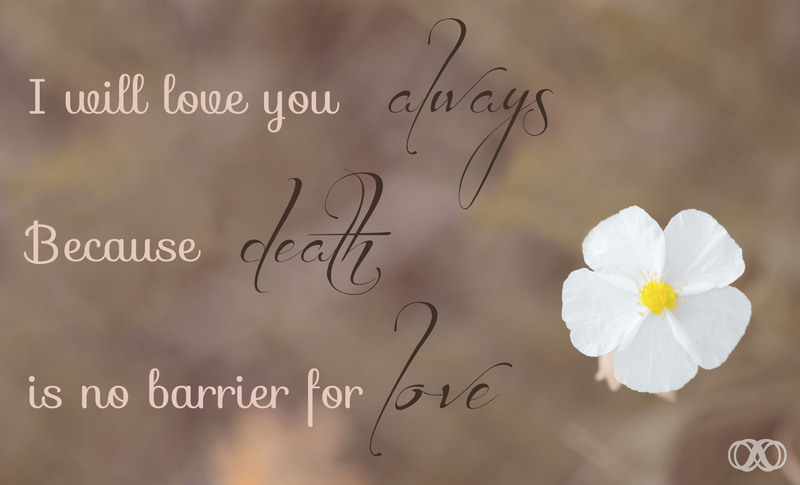 I shall love you forever, because death is no barrier for love.